Sunday Funny: Nando's - "Where's my Chips?" Sunday Funny: Nando's - "I Eat the Chicken"
Sunday Funny: Nando's - "Last Minutes of Ramadan"
Sunday Funny: Jack in the Box - "Sampler Trio"
New and returning to Starbucks' fall drink lineup this fall are the Toffee Mocha and Pumpkin Spice Latte respectively. Please note that as long as they have the necessary ingredients on hand, your local Starbucks can make these drinks for you year round. The Toffee Mocha features espresso, steamed milk, toffee sauce, milk foam, and a dusting of cocoa powder. The Pumpkin Spice Latte features espresso, steamed milk, pumpkin, spices (nutmeg, cloves, cinnamon), topped with sweetened whipped cream. Nutritional info after the jump (not yet available for Toffee Mocha.). Boston Market is having a 50% off sale on their Market Feast and Family Meals for one day this upcoming Labor Day, September 6, 2010. To take advantage of the deal, simply print out this coupon (link here). 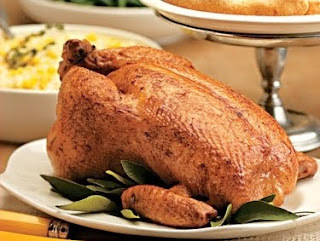 A Market Feast is normally $23.99 and comes with: 1 whole rotisserie chicken, 3 large gourmet sides, 3 cornbread, plus your choice of a family-size soup, entree Caesar salad or family-size dessert. The Family Meal ranges from $20.85 for the three people meal up to $34.50 for the six people people meal and comes with a corresponding number of sides, cornbread, and your choice of entree (chicken, meatloaf, or turkey). 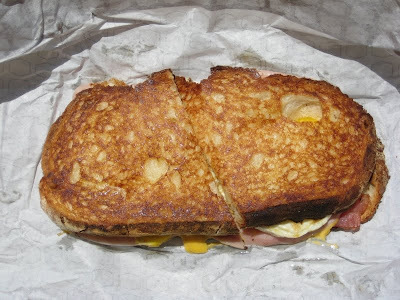 Jack in the Box's Grilled Breakfast Sandwich retails for $2.99 and features a smorgasbord of breakfast items (two eggs, two slices of ham, two strips of bacon, and two slices of American cheese) sandwiched between two slices of grilled artisan bread. Starbucks Via instant coffee will come in four more varieties this fall. Starbucks announced that they are adding four natural flavors to the line: vanilla, mocha, caramel, and cinnamon spice. The price of Via online at the Starbucks.com starts at around $9.95 for 12 servings (~83 cents per serving) to $35.95 for 50 servings (~72 cents per serving). I've tried these before (I got upsold while buying a latte :P) and surprisingly enough it tastes exactly like Starbuck's coffee, but with more consistency in taste (because sometimes the coffee at Starbucks has been sitting too long). 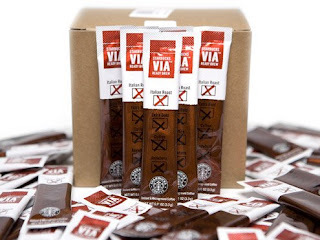 Basically, if you like Starbuck's coffee, you'll like Via, and if you don't, you won't. In an expansion of its grilled sandwich line, Jack in the Box added today a new Pastrami Grilled Sandwich to its menu. The sandwich features "hot pastrami, Swiss-style cheese, pickle fillets and a new deli mustard served between slices of grilled artisan bread." I wonder if Swiss cheese is a commercial designation like Scotch or Champagne because otherwise I'm really wondering how "Swiss-style" cheese is different from regular Swiss. No word on pricing but I'd expect something in the range $4 and $5. 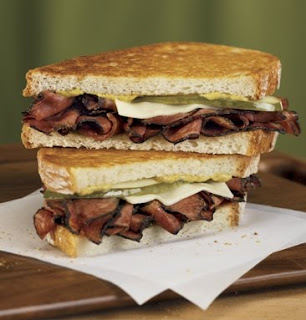 The Pastrami Grilled Sandwich is not available in the following markets: Austin, Bakersfield, Chico/Redding, Hawaii, Houston, Sacramento, Santa Barbara and Seattle. I'm going to guess those restaurants don't carry any of the Grilled Sandwiches. Nutritional info after the jump. Usually, I go with pepperoni, sausage, and some vegetable or another, but this time I went with chicken, bacon, and mushrooms. It comes on a cardboard tray covered by a paper bag. Ew. Besides raising their prices on the Double Cheeseburger and coming out with the Buck Double as a cheaper alternative, Burger King recently announced that they are raising the price of the Whopper Jr. nationwide to $1.29 after testing the price point in several markets. Whopper Jr. lovers are crying all over the place. In other BK news, they are planning on rolling out a new breakfast menu this upcoming September. Will it be similar to the brunch menu they were testing? Sunday Funny: McDonald's Israel - "Secret Service"
It's an Israeli McDonald's ad in English with Hebrew subtitles (I'm guessing). If you look carefully, you'll see that they grill their patties over charcoal instead of on a griddle. From the first 20 seconds or so, it could be a crime drama or something. I keep calling Daphne's Greek Cafe "Daf-feens" instead of "Daf-knees" even though there's no "i" in there. It's a Southern California Greek fast casual chain. The Sister-in-Law likes it because they give free food for your birthday and it's near her workplace. 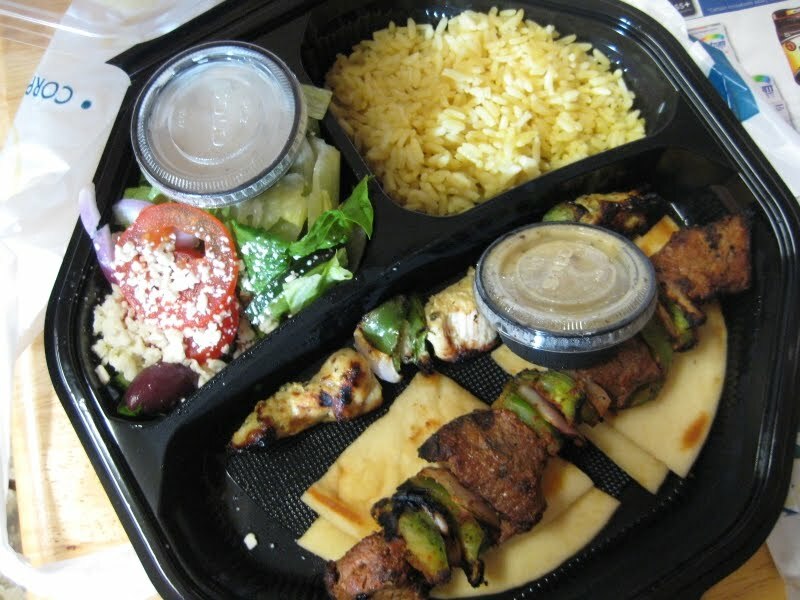 She brought home a Mix & Match Two Kabob Plate one night, around the time of her birthday. It normally costs $8.79. 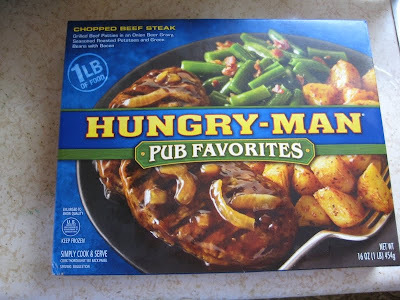 Hungry-Man frozen dinners recently re-packaged some of their frozen dinners as "Pub Favorites" i.e. pub grub. My local Ralph's supermarket had a great deal on Hungry-Man dinners, which normally run between $3 and $4. They were selling them for only $1.49! One of the ones that I bought was the Chopped Beef Steak which features grilled beef patties in an onion beef gravy, seasoned roast potatoes, and green beans with bacon. 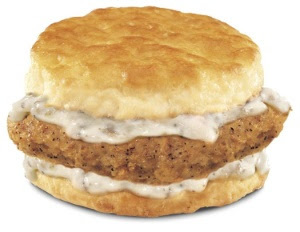 Hardee's has taken their Country Fried Steak Biscuit and added country gravy to the mix to form the new Country Fried Steak 'N' Gravy Biscuit. As the name suggests (states, really), the breakfast sandwich consists of a country-fried (breaded) steak slathered with a fair amount of country gravy served between a Hardee's Made from Scratch buttermilk biscuit. The price is $2.19 for the sandwich or $3.89 for a combo with coffee and Hash Rounds. As with most Hardee's (and Carl's Jr) promotions there's an online coupon for a free coffee or beverage with the purchase of a Country Fried Steak 'N' Gravy Biscuit (expires 10/23/2010). Nutrition info after the jump. 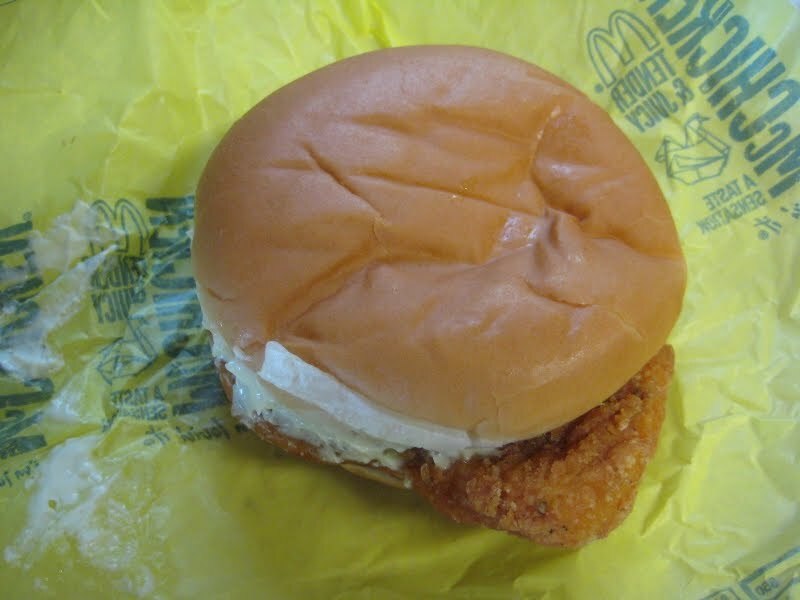 McDonald's McChicken is a value menu chicken sandwich and features the standard battered, breaded and fried chicken patty with mayo and shredded lettuce on a bun. 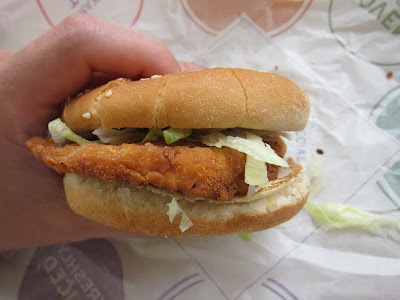 As with everything on McDonald's Dollar Menu, it is $1 (Bet you didn't see that coming). 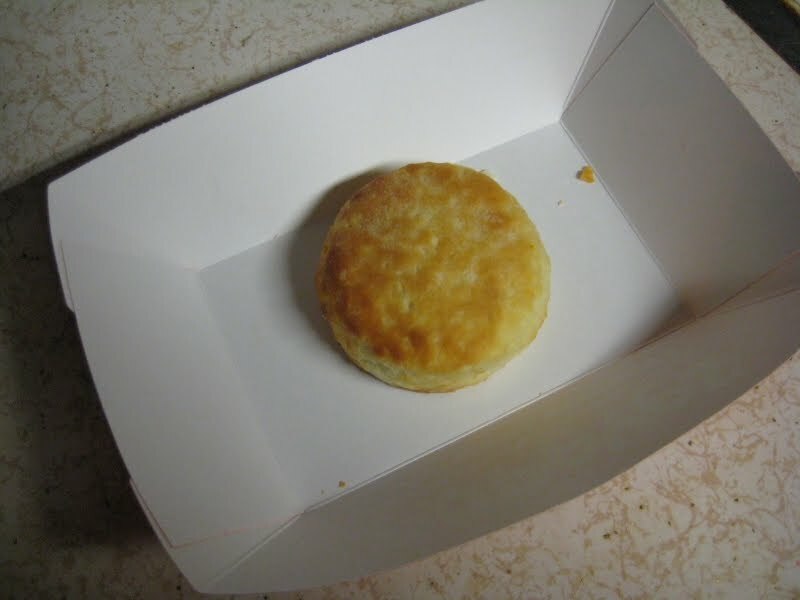 Popeyes Biscuit features a very buttery, crisp, almost flaky, crust with a nice, soft, pillowy crumb on the inside. At least in L.A., they've copped a KFC and sell them two for $1. Pizza Hut has made big over-sized pizzas in the past (remember the Big Foot anyone?) and now they're doing it again with the new Big Italy Pizza which, as far as I can tell, is so named because it's big and, you know, pizza is Italian in origin. 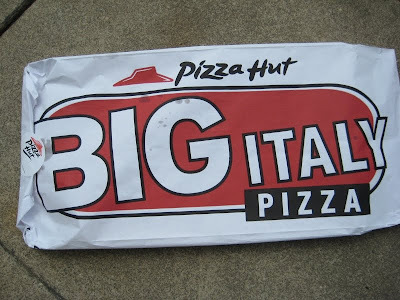 I think they should have just taken a page from Jack in the Box and just called it the "Really Big Pizza." 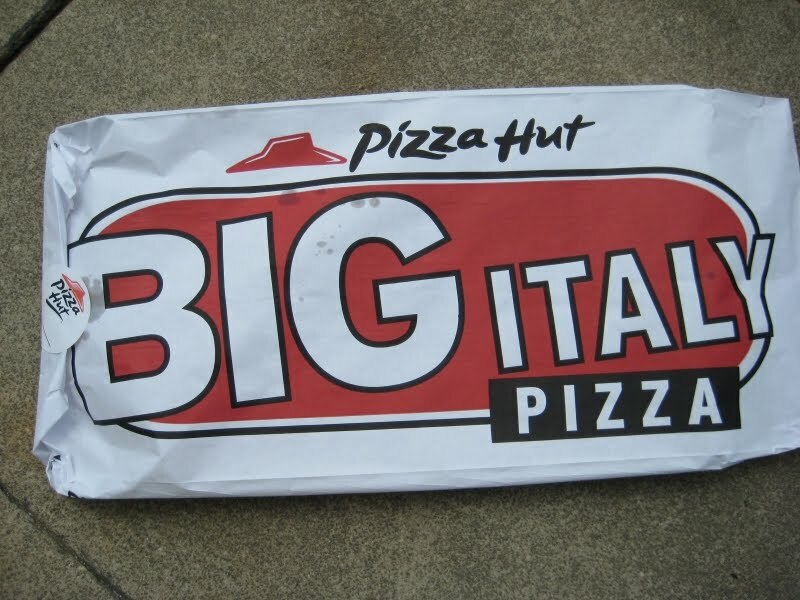 Retailing for $12, the Big Italy Pizza features almost 2 feet of pizza in roughly-shaped like a pill with rounded edges. The pizza is cut into 18 slices and can be had, at the price, with up to three toppings. Update: The Big Italy Pizza reviewed. 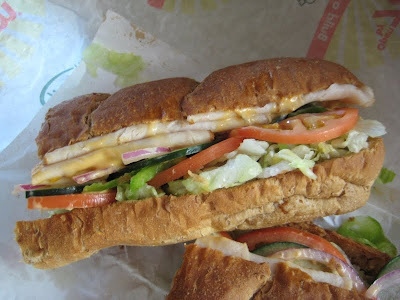 I tried Subway's new Turkey Jalapeno Melt to see if it would "burn the wimp right outta [me]" like Subway suggests. 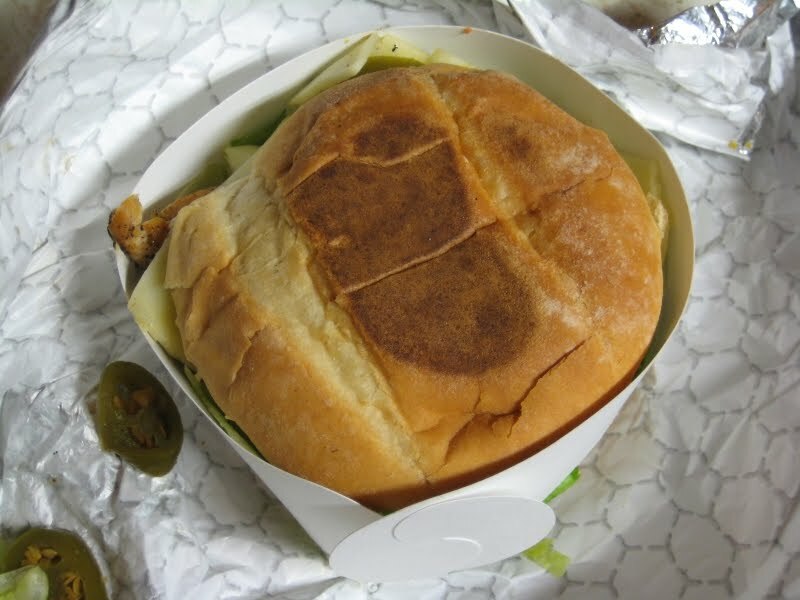 The Turkey Jalapeno Melt is just a variant of the Turkey sub, except you don't have to mull about whether you want jalapenos on your sub. My "sandwich artist" still asked me what cheese I wanted and what sauce (The right answer to make a proper Turkey Jalapeno is the "shredded Monterey Cheddar blend" and the "chipotle southwest sauce.") The price for a footlong is an even $6 plus tax. One of the most expensive items on the Chick-fil-A menu, the Chargrilled Chicken Cool Wrap is basically a chicken salad rolled inside a lavash type of multi-grain flatbread. 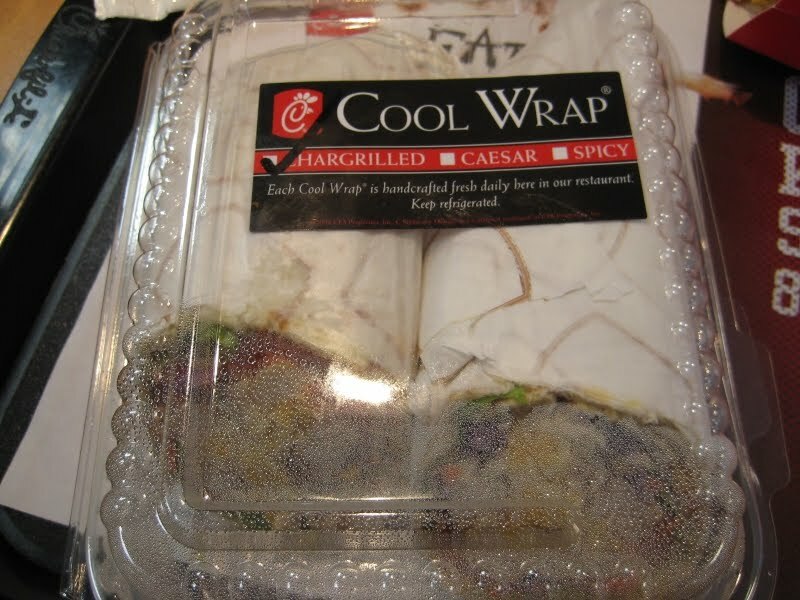 The filling consists of chargrilled chicken, green leaf lettuce, tomato slices, shredded red cabbage, shredded carrots, a blend of shredded Cheddar and Monterey Jack cheeses, and your choice of dressing (I chose the Spicy Chipotle dressing). It carries a price in the salad-range of $5.35. This Nando's 30-second ad's a bit more low brow, but I guess dumb blonde jokes are always in vogue and they do tie it into the product. 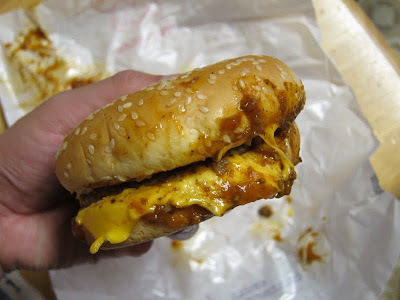 Wienerschnitzel's Chili Cheeseburger is a simple affair; it features a sesame bun, a beef patty, a slice of American cheese, and a spread of their trademark meat chili. It's fairly cheap for $1.39. Taco Bell's Crispy Potato Soft Taco is a value menu item and features their seasoned potato bites, shredded cheese, lettuce, and a Pepper Jack sauce making it, ostensibly, one of the few vegetarian options on Taco Bell's menu. The price on this one is the same as a Crunchy Taco: 89 cents. I think today's "Junior" size is how big burgers used to be back in the day, I wonder they would think about the burgers of today. Well, there's no wondering about Arby's Jr. Chicken Sandwich, a standard value-priced typical fast food chicken sandwich for $1. While I was in Kyoto, one of my fellow travelers recommended we try a French bakery and cafe called Liberte which I have to say tried to be very authentic, which I say having never been to France, but you'll see why in a bit. The Fiery Footlongs are purported by Subway to be "So hot they’ll burn the wimp right outta ya." Also new, and exclusive to Subway, are Monterey Jack and Sun Dried Tomato Sun Chips. 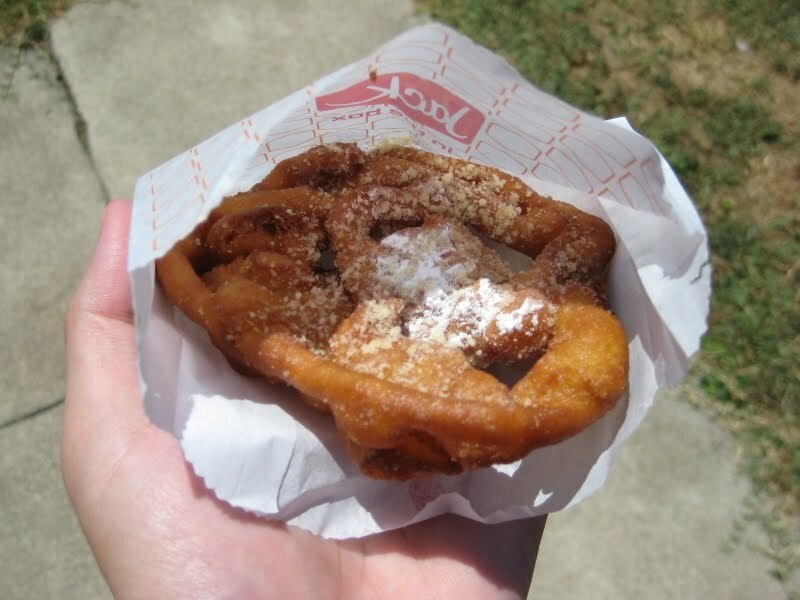 Jack in the Box's Mini Funnel Cake features a cake-like batter, deep-fried and dusted with powdered sugar. A little piece of fair food can be had at your local Jack in the Box for an easy $1. Basically combining a Philly Cheesesteak with a Carl's Jr Burger, Carl’s Jr. has unveiled its new Philly Cheesesteak Burger. 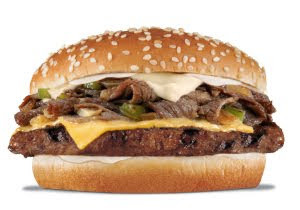 The Philly Cheesesteak Burger features thinly-sliced steak on top of a charbroiled burger patty, peppers, onions, Swiss and American cheeses, and mayo on a sesame seed bun. The Philly Cheesesteak Burger is available at Carl’s Jr. for $3.49, or as a combo with small fries and a small drink for $5.99. Prices may vary by location. A Philadelphia-themed ad campaign with one TV spot and three viral short films featuring Legos (or imitation Legos) are airing to support the burger. Nutritional info and videos after the jump. Survey company Zagat revealed the results of its 2010 Fast-Food Survey, which covered 97 major fast food chains and 39 full service chains and polled 6,518 zagat.com diners who ate at chain outlets (6.1 times at fast food chains) on average 10.7 times per month. The survey results divided the chains into four categories: Large (up to 5,000 U.S. outlets), Mega (over 5,000), Full-Service (with table service), and Quick-Refreshment (focusing on beverages, ice cream and the like). A couple notable winners in this year's survey include Five Guys Burger and Fries (look it rhymes!) for Best Burger (which is likely to be declared a travesty by In-N-Out Burger fans everywhere, including my brother and the Sister-in-Law who didn't care for Five Guys when they ate it without me), McDonald's for Best Fries (you know it! ), and Dairy Queen for Best Milkshakes. With all the chains adding coffee to the menu, Starbucks still came out on top with Best Coffee. The full survey results are available at www.zagat.com/fastfood. 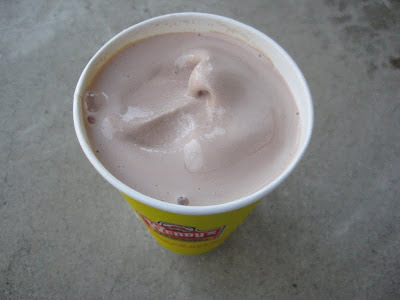 Wendy's Original Chocolate Frosty used to be just Wendy's Frosty, but expansion efforts towards more Frosty offerings lead to Vanilla as another Frosty flavor and a base for other Frosty desserts. While McDonald's is pushing $1 Sweet Tea, and Burger King is pushing $1 Icees, Wendy's is pushing 99-cent 12-ounce Frosties this summer. Unfortunately, my local Wendy's is not participating in said promotion and my "small" 12-ounce Frosty came out to $1.29. I cried a little while paying that extra 30 cents. Another Nando's advert (that's what they call them in England no?) because, quite frankly, I don't live in South Africa so I've never seen these. See if you get the punchline. If not, check after the jump for an explanation (or just watch it again ;P). Wienerschnitzel's 79-cent Corn Dog provides an exceptional value for your hungry stomach. 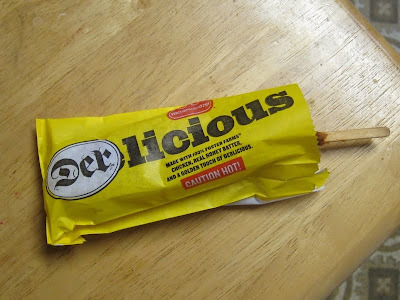 As a refresher/primer, a corn dog is a simple hot dog on a stick, covered in corn meal, and deep-fried. The result is the stuff of fairs, cheap eats, and fairly clean eating. Popeyes' Louisiana Tenders, like their chicken, are available spicy or mild. I typically go with the spicy version, which is like mild in flavor but with a some heat, but nothing uncomfortable. 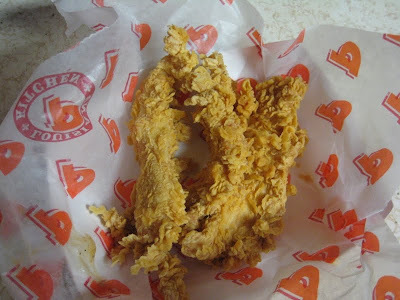 As with most fast food fried chicken joints, Popeyes' Louisiana Tenders is their name for breaded, deep-fried chicken breast tenders. 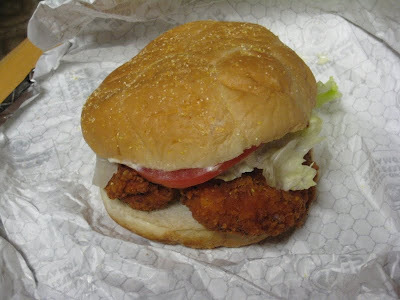 Wendy's Spicy Chicken Sandwich is like the Homestyle Chicken Fillet Sandwich but spicy. It sells for the same $3.99 and has the same lettuce, mayo, and tomatoes on a kaiser bun. 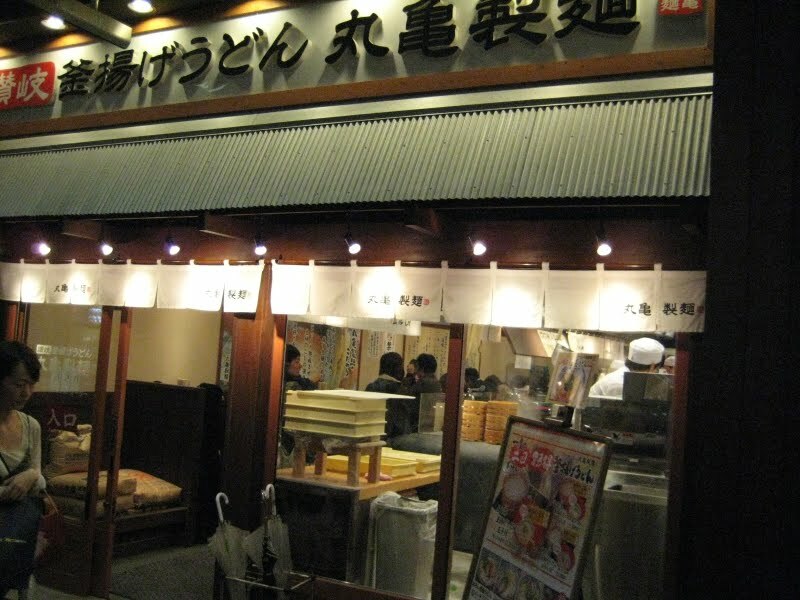 While in Kyoto we stopped by this udon joint for some cheap eats. 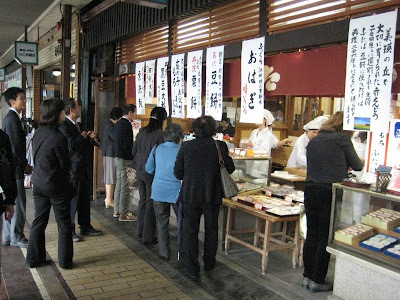 Udon is a fairly thick wheat-flour noodle that is typically served hot in a soupy soy sauce broth. 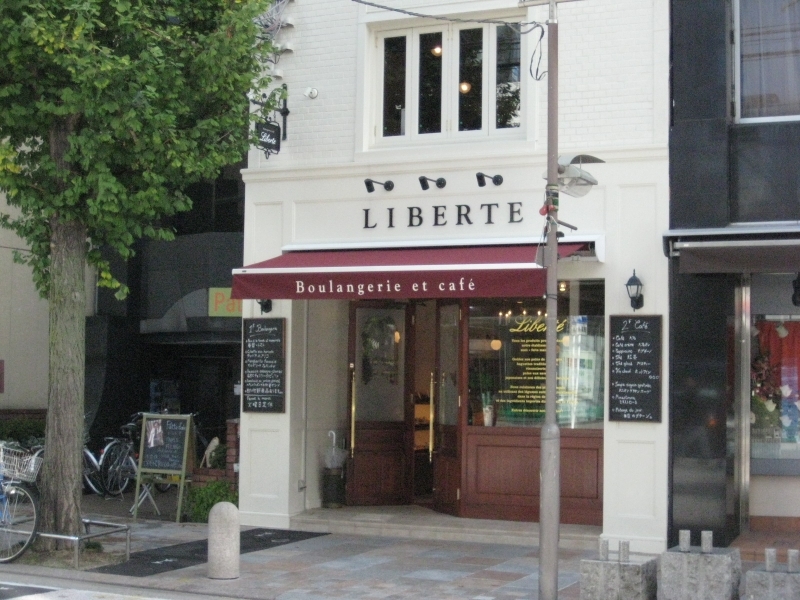 This particular place was found on the main thoroughfare in Kyoto. Today, Angus Snack Wraps are officially a menu item at McDonald's restaurants across the nation. The national roll out features Angus Snack Wraps in three varieties, mirroring the Angus Third Pounders: Deluxe, Mushroom & Swiss, and Bacon & Cheese. The price per Wrap is $1.99. Deluxe contains red tomato, green leaf lettuce, red onions, crinkle cut pickles, American cheese, mayonnaise, and yellow mustard. Finally, Mushroom & Swiss goes simple with sauteed mushrooms, Swiss cheese and mayonnaise. Sonic's Onion Rings are hand-breaded and deep-fried which means they're made completely in house and are advertised as "made fresh daily." A medium will run you $2.19 while a large goes for $2.99. 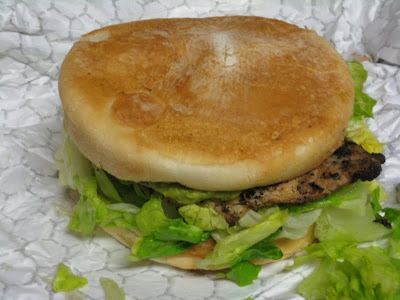 The other sandwich to El Pollo Loco's Grilled Chicken Sandwich duo, the Guacamole Grilled Chicken Sandwich differs from the Jalapeno version in that it substitutes a glop of guacamole instead of jalapenos, Southwest sauce, and a slice of cheese. The price remains the same at $4.29 per. Brand Eating Giveaway Drawing: Sonic Ice Cream Social and Lunch Boxes! - One Grand Prize: an ice cream social at Sonic for you and your friends and family (up to 10 people) - basically they'll send you a $50 MySonic card to fund the social. - Two Second Prizes: A Sonic Lunch Box(!) filled with a "Keep it Real" ice cream t-shirt, a $5 MySonic card, and some other goodies. That's right! 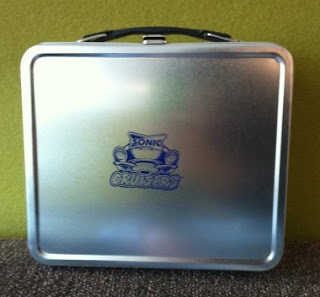 You can be the envy of all your friends with a nifty Sonic Lunch Box! Nando's is a Portuguese-style chicken chain originating from South Africa, but with locations in 34 countries, including a couple in the U.S. Ramandan is the Islamic month of fasting. Burger King's Tacos seem to be an "at-participating-locations-only" item and doesn't appear on the Burger King website. 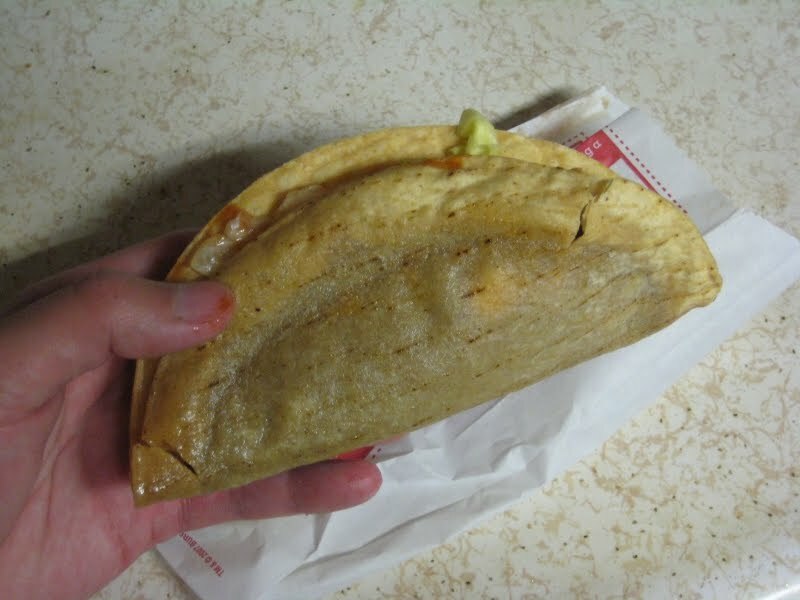 At two for $1.49, they're 50 cents more than Jack in the Box's Taco for basically the same item. McDonald's is testing Frozen Strawberry Lemonade as a possible McCafe offering. According to Advertising Age, the frozen drink is being tested in a few markets here and there, including Michigan and Austin, TX. 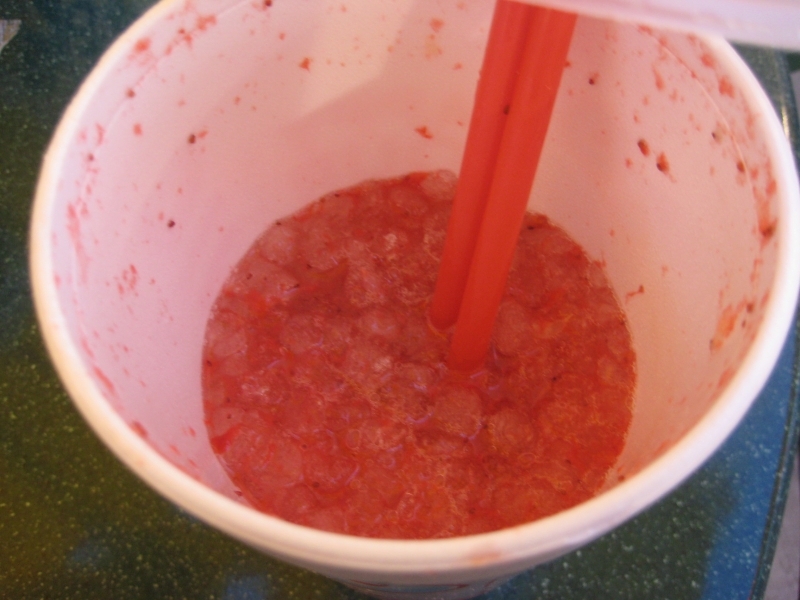 Seemingly most similar to Taco Bell's Frutista Freeze, the drink appears to be an icy slush of lemonade with a swirl of strawberry sauce or syrup. Frozen Strawberry Lemonade are made with the same machines as Smoothies and Frappes and, my guess is they might be priced the same as well. That would be $2.29 for a 12-ounce small, $2.79 for a 16-ounce medium, and $3.29 for a 22-ounce large. 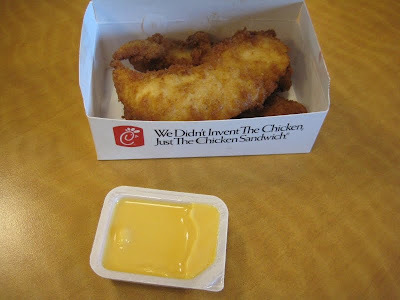 Chick-fil-A Chick-n-Strips feature tender chicken breast strips marinated and lightly hand breaded before deep-fried in peanut oil. 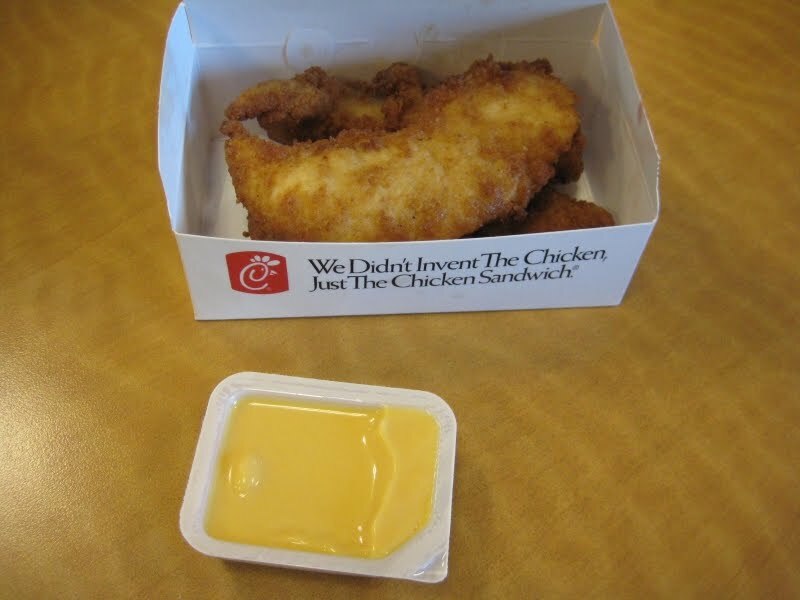 They typically come in 3- or 4-piece boxes, but are also available in 1- or 2-piece sizes in Kid's Meals. A three-piece box like the one I bought runs for $3.55 in these parts. 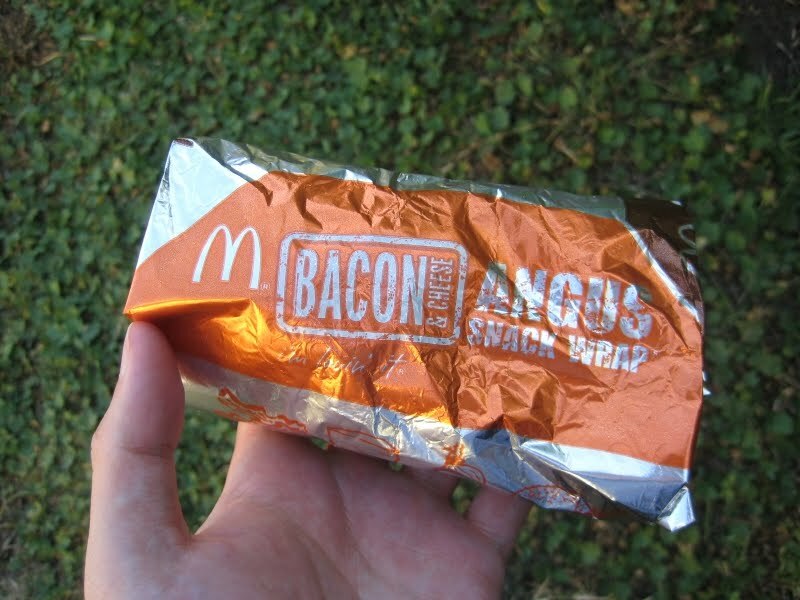 Since they've already wrapped their trademark sandwich in a tortilla, McDonald's has now moved on to wrapping their premium line of burgers in the same fashion. While they're not slated to roll out nationally until August 10th, McDonald's Angus Snack Wraps are already available at some McDonald's restaurants, including, as I found out when I stopped for fries, mine. The foil wrapper might say "Bacon & Cheese" but that's only because the Chipotle BBQ isn't a regular menu item. Quite the morning crowd, no? They're all waiting to buy different types of mochi, a Japanese dessert made with glutenous rice pounded into paste and formed into a shape, usually a ball with different sweet fillings, usually some type of bean, especially red bean. El Pollo Loco's Jalapeño Grilled Chicken Sandwich features a marinated boneless chicken breast, pepper jack cheese, sliced jalapeño peppers, a shredded blend of Romaine and iceberg lettuce, pico de gallo salsa, and a spicy Southwest sauce served on a soft, dense, grilled Telera roll. The Jalapeño Grilled Chicken Sandwich carries a premium price tag of $4.29. 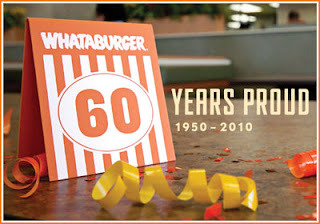 Whataburger is celebrating its 60th birthday tomorrow, and is offering its fans a free Whataburger between the hours of 5pm and 8pm if they show up wearing orange. Dubbed an "Orange Night Out," the offer is available to dine-in customers only and only at participating restaurants. Where: Participating Whataburger restaurant locations. Why: Free Whataburger if you wear orange. 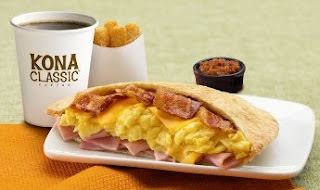 Making sure to serve eggs, bacon, ham, and cheese stuffed in all possible forms of starch, Jack in the Box now serves a Breakfast Pita. A whole grain pita stuffed with the aforementioned ingredients is yours for the eating for a suggested price of $2.69 and is served with fire-roasted salsa on the side. 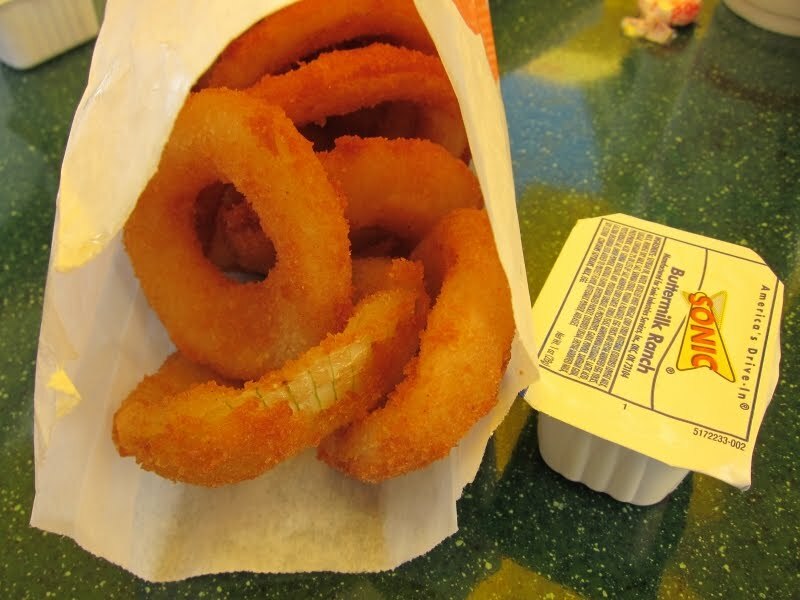 As always, breakfast is available all day and all night at Jack in the Box. And, like anything with both ham and bacon in it, there's a lot of salt involved. You can see how much after the jump. 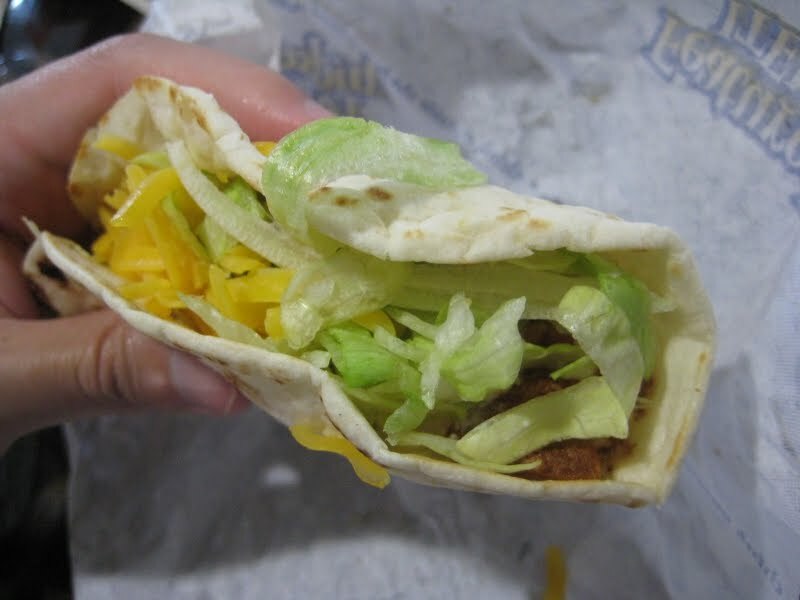 Taco Bell's new Cantina Tacos are Taco Bell's take on the street taco and are available priced at $1.49 for one, $2.79 for two, or $4.99 for three and a large drink. Like the basic street taco, corn tortillas are folded around a simple filling of your choice of meat, onions, and cilantro. 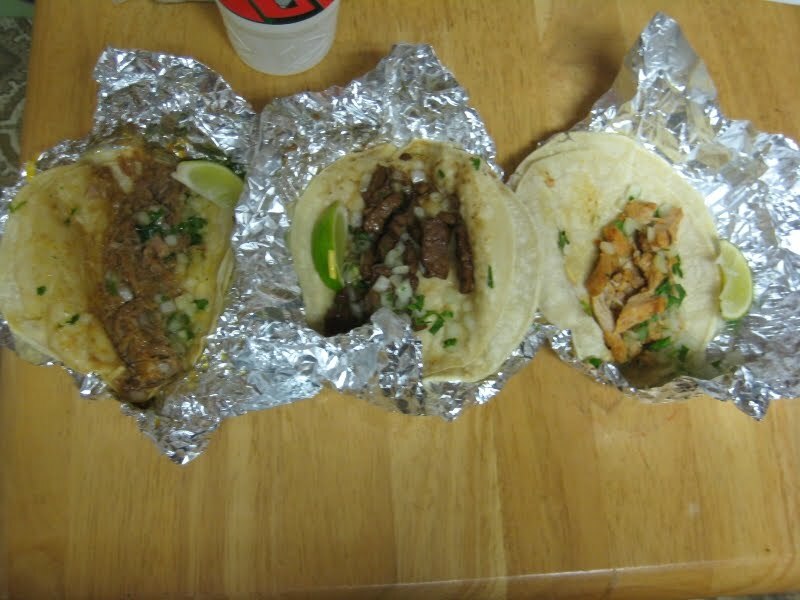 You probably know them as street tacos or just plain tacos at any Mexican taqueria ("taco shop"), but Taco Bell has dubbed them "Cantina Tacos" and they're the newest addition to the Taco Bell menu. Billed as their "finest taco ever," Taco Bell's Cantina Tacos pretty much come in the standard street taco with two grilled, warm corn tortillas filled with your choice of meat (marinated steak, marinated white meat chicken, or shredded carnitas), diced onions, and chopped cilantro paired with a wedge of lime on the side. The new tacos are available individually, in a two-taco bundle, or a three-taco combo. Starting this month, Pizza Hut restaurants nationwide feature a new simplified and lower pricing scheme. The announced prices are $8 for a medium with up to three toppings, $10 for a large with up to three toppings and $2 more for any specialty pizza. There's an additional charge for Stuffed Crust that varies with location. 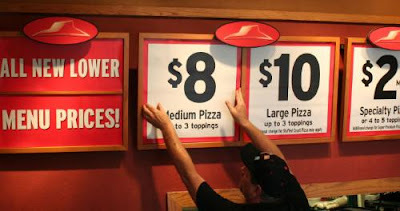 I guess it makes a lot of sense to just have the regular menu prices reflect promotional pricing for Pizza Hut. In my experience, there are always coupons (especially with online ordering where the coupons are part of the ordering interface) or promos for pizza to take advantage and few people I know ever buy pizza at menu price. This new pricing structure saves people from leafing through their coupons, and makes it easier to order pizza from Pizza Hut. It'll be interesting to see how this plays out. I remember this commercial from a while back. While the concept is preposterous, it's still entertaining and pretty memorable.